A friend of mine suggested me for the gig, which I am forever grateful for. I talked with the Producer and the Director and it was a good fit, so we moved forward. You know I’ve been working in the film industry for a little while now and I always tend to have low expectations about everything just so I don’t get my heart-broken. But it turns out this project was one of my favorite projects to work on. Even though it was only 10 days, we shot with two cameras the whole time. This is my second feature film that I shot with two cameras. I wouldn’t suggest for everybody but if you as an AD, Director or Producer could handle mentally, it really cuts down your days when shooting a movie. The Director, Jenica, Cast and crew were also a joy to be around. 97% of the time when you crew up for a project you don’t know everyone and how they will act. And sometimes you get a minor bump in the road. We had a bump for a hot second but we got rid of that bump and it was smooth sailing from there on out. I think sometimes people take for granted what we actually do for a living. I get to travel the US, hopefully international soon and work with creative people from all over and make movies. I used to work in Human Resources before I went to Full Sail University. Everyday I’m on set, I say a thank you to the most high and I never take it for granted. I think some people forget that. But I’m gonna stop rambling on about things. Have a look at the trailer and some of the behind the scene pics from my perspective. Hey what’s up world!! I have some big news to share. The film “Everything But A Man” starring Monica Calhoun (The Best Man, Love and Basketball) & Jimmy Jean-Louis (Heroes, Joy), directed by Nnegest Likké, will be making its first public screening. We have 2 screening times, one on June 16th and one on the 17th at the American Black Film Festival (ABFF) in Miami, FL. 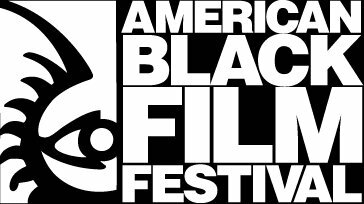 The American Black Film Festival (ABFF), founded in 1997, is an annual event dedicated to showcasing entertainment content made by and about people of African descent to a worldwide audience. Today it is recognized as the premier pipeline for Black talent in front of and behind the camera. The festival is composed of five action-packed days of films, panels, parties and more…from the star-studded opening night screening to the closing “Best of Festival” Awards Ceremony. If you are in South Florida and attending the festival, let me know what you think. Check the link above for the schedule. I’m not sure of the actual screening times at the moment. I don’t think I will be down there but I’m due a trip to Miami. Such a beautiful and unique city. If you missed my previous post about the making of “Everything But A Man” click here! Until next time, be blessed, be creative and #MakeMovies!